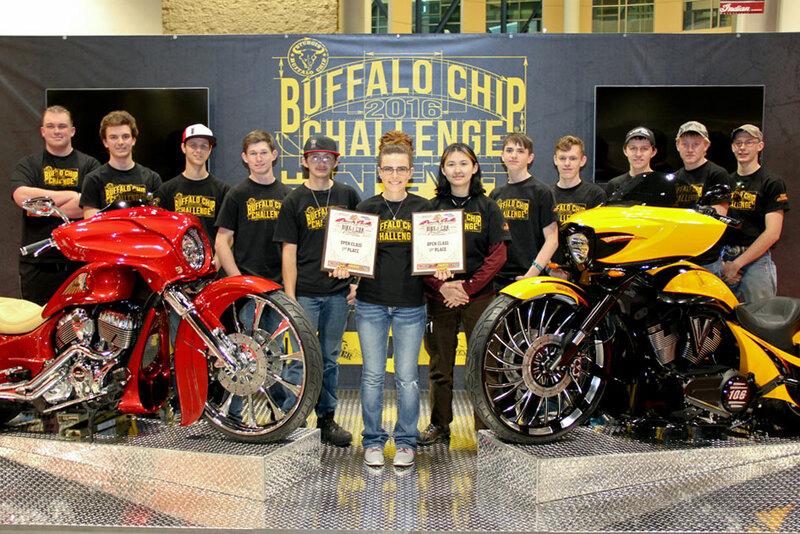 If you’re a Black Hills area high school student who would like to learn how to build a motorcycle, earn scholarships for furthering your education and gain knowledge that can help you develop your career, now is the time to sign up for the 2017 Buffalo Chip Challenge! 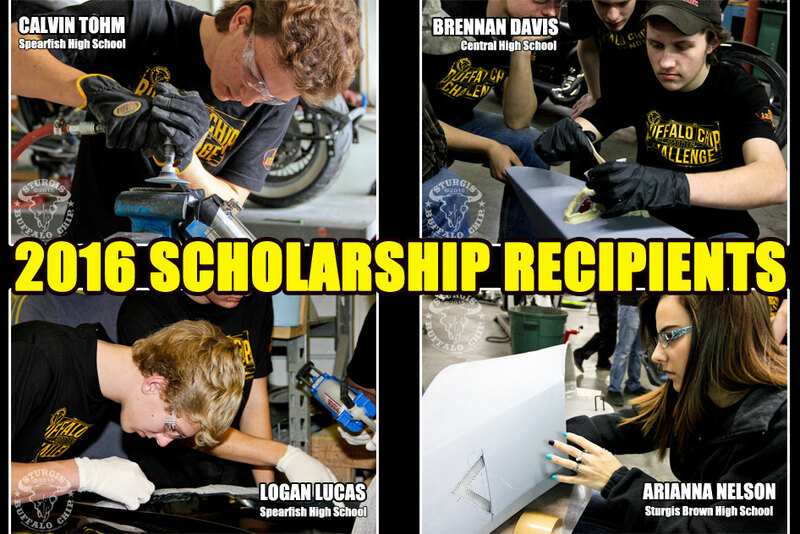 The Sturgis Buffalo Chip® has opened applications for this annual scholarship and motorcycle mentorship program, and applying is as easy as filling out the form on the bottom of this page! 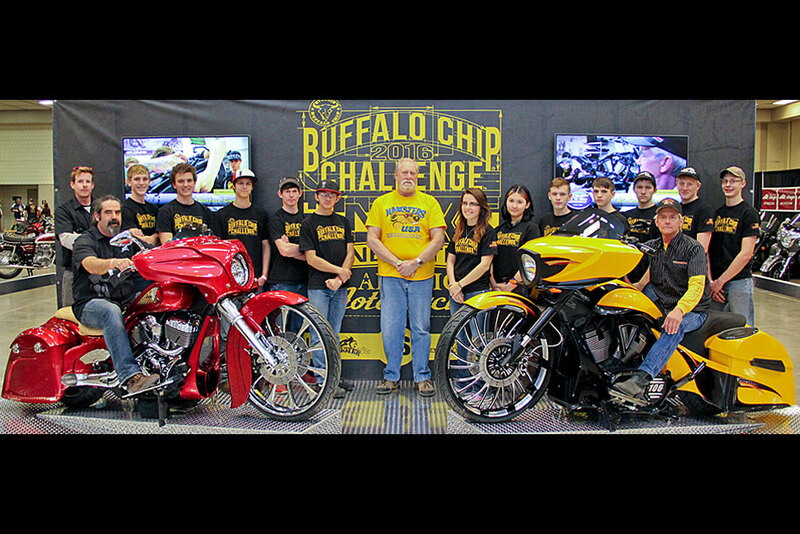 The Buffalo Chip Challenge is an innovative bike build program that puts students like you in real industrial shop environments to build a custom motorcycle that will go head to head with pro builders from around the country at the Donnie Smith Bike Show. The 2017 program is open to all Black Hills area high school students and instruction will take place at Terry Components in Spearfish, SD. The program, headed up by award winning motorcycle customizer Keith Terry of Terry Components, will teach you shop skills and motorcycle mechanics through instruction from local mechanics and industry professionals. This annual program is designed to give high school students like you hands-on experience building and customizing motorcycles of various makes and models. This year, a 2016 Harley-Davidson Road King will be the base for this full custom build project. Your team will have approximately three months to transform the stock bike into a head-turning custom work of art, before having the opportunity to showcase it at the prestigious Donnie Smith Bike Show in St. Paul, MN. Eligible students will then be invited to see their creation auctioned off in support of the annual Legends® Ride charity event on Monday, Aug. 7, 2017. Buffalo Chip Challenge participants pose with their award-winning bikes at the Donnie Smith Bike Show in 2016. Past Buffalo Chip Challenge teams have collaborated and worked directly with a long list of legendary names in the industry including Paul Yaffe, John Shope, Dave Perewitz, Nick Trask and Rusty Jones. Each year students are exposed to a variety of different motorcycle industry professionals both locally and nationally. Stay tuned to find out who will be contributing to the build program this year. As much as everyone loves to win trophies at bike shows, the real winners of this program will always be the student participants. Previous build teams have been able to add to their résumé first place finishes at multiple motorcycle shows. You’ll have the opportunity to learn valuable industrial arts skills while working alongside local masters of the trade with cutting-edge parts from the industry's leading manufacturers. In addition, you’ll also be eligible for earn thousands of dollars in scholarships to further your education in the field! Here's what past student builders have to say about the Buffalo Chip Challenge. "It gives you the chance to be a part of something impressive, that you will be proud of and grow from for the rest of your life." Spaces in the program are limited. Don’t miss your chance. Apply now! 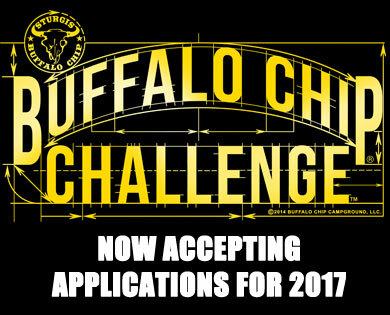 Why do you want to be a part of the Buffalo Chip Challenge? For more information about the Buffalo Chip Challenge, contact Brad Schneck at (605) 347-9000.